Lately i've been going for a more minimalist approach; trading out the traditional arm party stack for daintier pieces like these charm bracelets. Now that the weather is warming up, its so much more comfortable to stack a few light bracelets than a full stack. It's hard to believe this weekend will mark the start of June and although I don't have any significant plans i'm looking forward to enjoying the beautiful weather. Have a great weekend babes! Love this look! There is nothing better than black and white. I love that clutch! Black and white with a pop of gorgeous heels! Have a wonderful weekend! 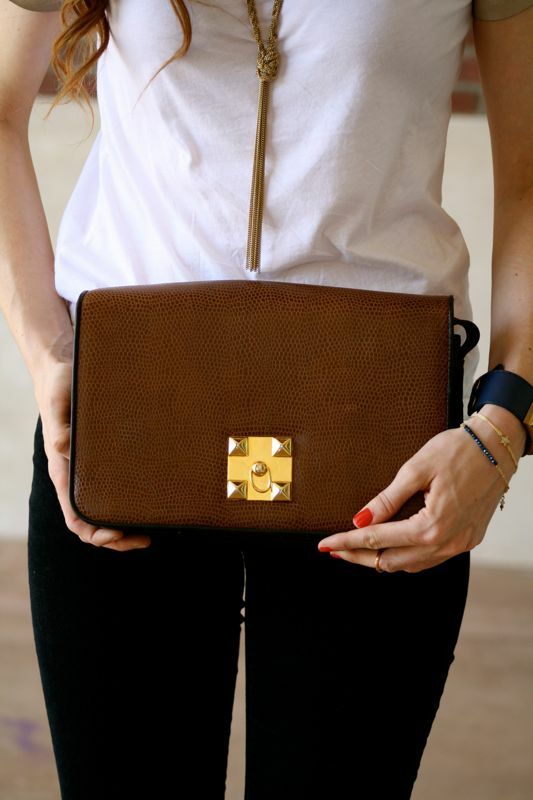 loving your pretty clutch and heels! Your top is just soo gorgeous.